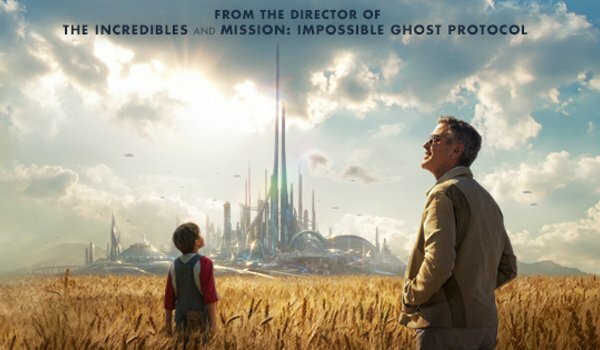 For as visually impressive and uber secretive as Brad Bird’s Tomorrowland is, it’s above all else, a love letter to Walt Disney and his vision for the future. Like any true Disney kids, Bird and writer Damon Lindelof have crafted an alternate reality of Cloverfield-ian proportions centered around the man and his gift for imagining a better tomorrow. And there’s nowhere that Walt and his Imagineers crafted a better vision of the future than in the attractions you’d find in a typical Disney park – a fact that’s most certainly not lost on the creative team behind Tomorrowland. And now, on to the analysis! Let’s get the front runners out of the way, the top of the list of course being the attraction that gave the film its name. 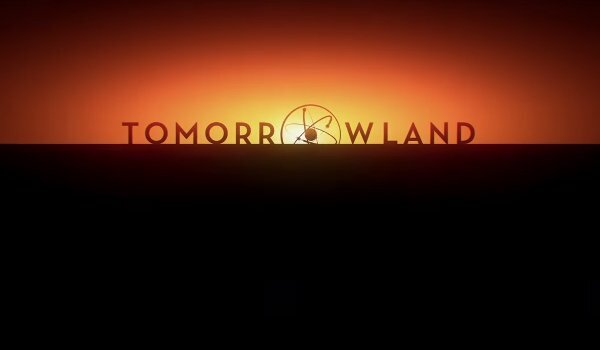 Tomorrowland was Walt Disney’s first stab at showing the world what wonders awaited it in an enlightened, advanced time. Known for his ways of forward thinking, as well as fantastical ideas of the next advances in humankind, Walt Disney used every platform he could to taut his vision of tomorrow, with every Disney theme park following suit and developing its own showcase of better living through scientific achievement. It’s this part of the Disney legacy that reportedly inspired the Tomorrowland of the film, as well as the 1952 box that first teased the film’s existence. In the film, it is theorized that Walt Disney, being part of a futuristic thinker’s society known only as Plus Ultra, created this section of the park as a primer for the world that was already built on the other side of whatever rift Clooney and company are going to cross. After all, do you think a man who helped envision such things as commercial flights to the moon, or even The House Of Tomorrow, would really sit on his hands if he had the means to create the future? While Tomorrowland is intended to be a look into the future of mankind’s resourcefulness, it’s not meant to be a purely dry affair. Look no further than Space Mountain, Walt Disney Imagineering’s first roller coaster built for older park-goers to enjoy. While most of Tomorrowland’s exhibits were about scientific progress and ingenuity, Space Mountain was more of a thrill ride that still uses science as its catalyst, but pushes adventure as its main charge. Seems like a fitting symbol for the movie Tomorrowland, doesn’t it? Visually, you can see the "mountain" at 1:17 in the trailer, when Casey is running around and looking at the future for the first time. Now the exact function of Space Mountain is a bit of a mystery, but as any good detective will tell you – the clues are sometimes in plain sight. Take a look at the shot of Hugh Laurie’s David Nix, just as the narration hints that he’s the villain of the piece. You’ll see in the left hand corner of the frame, it looks like a star field is in view. Now either Tomorrowland is headquartered on the moon, or this could be the Space Mountain viewing room at 1:55 in the trailer. In any case, it wouldn’t be a stretch to imagine this room being headquartered inside the "mountain" of the movie. 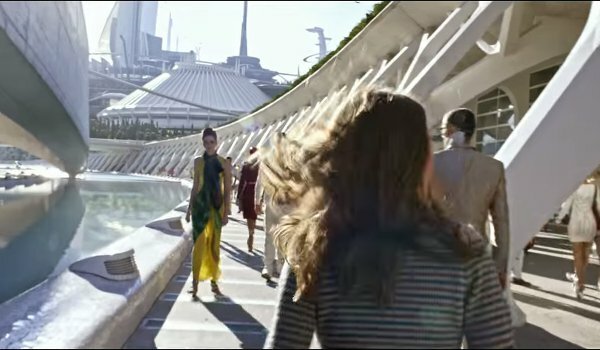 This next reference is probably the most visually encoded hint to the world of Tomorrowland, and it’s one that looks to be directly tied into the film’s Alternate Reality Game. Apparently, part of the film’s mystery will involve a visit to Paris, where a gigantic rocket is concealed underneath the base. There’s only one person who could have thought that up, and that’s science fiction luminary Jules Verne. According to the film’s official alternate reality game, "The Optimist," Jules Verne was also a member of the super secretive Plus Ultra organization that Walt Disney would later belong to. That's a huge clue. In addition to writing "From The Earth To The Moon," Jules Verne also wrote the inspiration for a classic Disney film from the 1950’s, 20,000 Leagues Under The Sea. That film’s design of Captain Nemo’s Nautilus submarine was not only what the theme parks would use for their Undersea Adventure attractions that ran until the 1990s, but it’s also a direct influence on the visual feel of the Tomorrowland rocketship seen as the clip ends. Jules Verne is also referenced in the now closed theme park attraction The Timekeeper, in which a robotic visiting professor brings Verne into the future and shows him how the world is directly influenced by his ideas. While Futurist Walt is certainly important to the Disney dichotomy, it’s Fairy Tale Walt that kick started the theme parks that he built. It’s why, at the beginning of almost every Disney picture, you’ll see the iconic image of Cinderella’s castle filling the screen in all of its splendor. 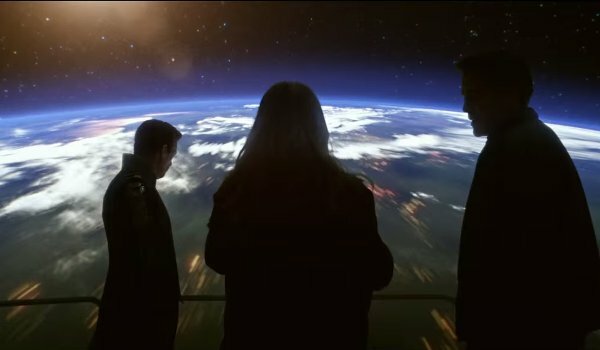 Indeed, the man knew his way around a fairy tale, and in its own way, Tomorrowland is a fairy tale of a young girl destined to save the world. When Casey (Britt Robertson) sees the world of the film’s title, it’s effectively as powerful of an image as when Cinderella sees the royal palace for the first time. Watching the teaser for this week’s full trailer, the connection between Cinderella’s castle and the skyline is made even clearer, as a variant of the Disney structure is presented in a more futuristic manner. In fact, if you go back to the various moments in any of the trailers that the skyline is on display, you’ll see that the vague outline of the castle still holds. Fairy tales always start with reality, and then exaggerate upon said reality to the point that the story becomes believable. In the case of Tomorrowland, all it takes is a pin and a castle of knowledge to get the party started. We now come full circle to one of Walt Disney’s last, but most memorable, ideas. While working on Disney World, Walt Disney started doing what he should have done with Disneyland back in 1955 – expanding his vision. EPCOT, or the "Experimental Prototype Community Of Tomorrow," was his "permanent World’s Fair," housing the famous Future World that showcased hard technical and scientific advances that were never too far off – as opposed to the fanciful "What If?" laboratory that Tomorrowland always was. The science and environment of the present met the tools of the future, and it was all neighboring a miniature international community that showed just how connected we all truly are. If the Tomorrowland attraction is the face of the film of the same name, then EPCOT Center is the brain of that same body. When George Clooney’s Frank talks about the best and brightest getting together to build something great, he’s talking not only about the imaginations that fuel the advances we’ll see in the coming years, he’s also talking about the knowledge and the know how needed to ull this off. As if cementing the sentiment with a visual cue, you’ll notice that at the 1:55 mark in the trailer, our three leads stand in a viewing room that has the infamous "lean bars" patrons use on such attractions as EPCOT’s O Canada, or Tomorrowland’s The Timekeeper. Walt Disney started his empire with imagination and animated whimsy, but he left behind something so much greater: he left behind a vision of a future that believed in itself enough to use its wits, as well as its book smarts, to make the Earth a little better than we found it. Knowing that Brad Bird has paid tribute to this in his own special way, via visual and thematic cues of his and Damon Lindelof’s devising, the continuation of such a message couldn’t be coming from anyone better suited to deliver it. The future will arrive on May 22, when Tomorrowland hits theaters.